This one of a kind original Oliver Messel home offers a truly unique experinece. 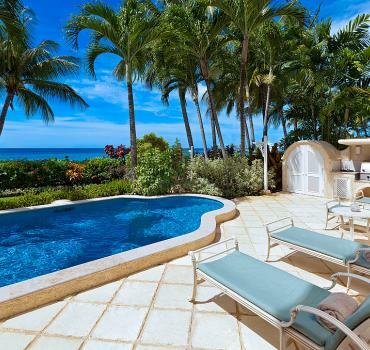 Located east of Sandy Lane Estate, Cockade sits on just over 5 acres of land and offers great sea views across the Green Monkey golf course. 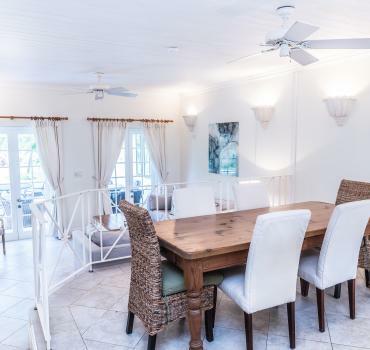 This property was renovated and refurbished from the original old plantation house that had been re-designed by Oliver Messel, the celebrated theatre stage designer in the 1970s. The renovations included a number of private cottages surrounding the main house offing a total of 6 en-suite rooms. The main house retains the beautiful Palladian style of Messel's design and consists of a formal sitting room leading to informal sitting and dining. From here, the garden and sea views are the focal point. There is an extensive master suite, a private terrace opening to the swimming pool and the master bath opens to a tropical outdoor shower room. Also in the main house is either a 2nd bedroom or a media room, an office and a modern kitchen. The large swimming pool and surrounding terrace looks onto a "folly" a fish pond with coral stone ruin, another of Messel's creations. The main house boasts an extraordinary kitchen, fitted out by Miele, including a large wine fridge, crepe station and its own BBQ room with a Miele grill station. 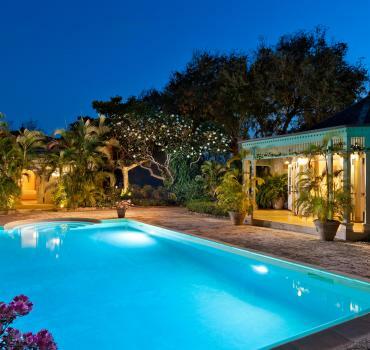 There are 3 other cottages set within the beautifully landscaped gardens, each with its own charming Barbadian design. Other outbuildings house a laundry and staff room, separate gardeners cottage and a 2 car garage. The first cottage sits overlooking the driveway with a spectaclular view of the west coast and rich foliage that give you the essence of "caribbean living". Just steps from the swimming pool, this cottage offers 1 king size bed, en-suite bathroom with tub and shower, kitchen area and private sitting area. This fully air-conditioned cottage is just the cusp of what Cockade has to offer. The second cottage is located behind the main house, offing a wrap around porch, king size bed, en-suite bathroom with tub and shower and again, its own sitting room and kitchen nook. The third cottage, which is fully air-conditioned, offers 2 bedrooms and 2 baths, perfect for a family with kids as one bedroom offers a king bed and the second offering a queen. Cockade has an additional charm of a cricket academy located in the front of the property, where on ocasion you can watch young cricketers learning or even have the opportuity to see visiting international teams practicing. *Rental includes Housekeeing, Cook and Gardeners. *Car rental included during the season (December 15th through April 15th) for rentals of 7 days or more.